How to avoid error message "too many redirects occurred."? 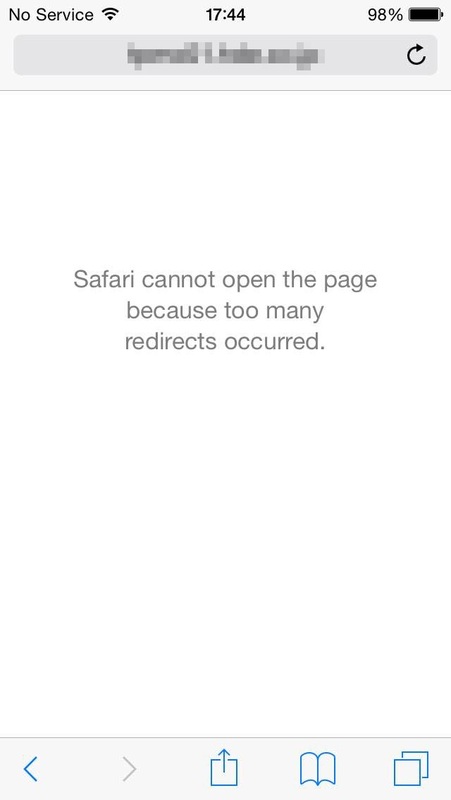 Access to confirmation screen from iOS smart device（iPhone、iPad）for e-mails temporarily holding or waiting for approval ended up with error message “Cannot open the page, because too many redirects occurred.” How the situation can be avoided? 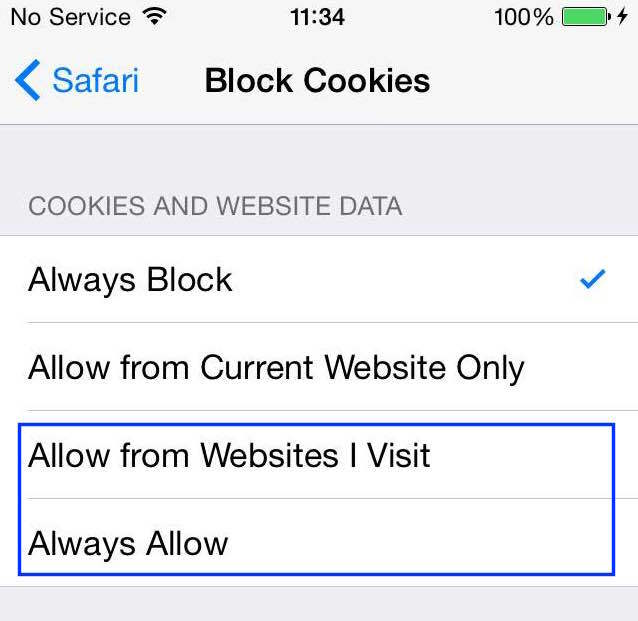 Safari's “Privacy and Security” -> Set ”COOKIE AND WEBSITE DATA” to either “Allow from Websites I Visit” or “Always Allow”. The problem occurs when it is set to “Always Block” or “Allow from Current Website Only”. Refer to the site below for procedure for access to confirmation screen from iOS smart device（iPhone、iPad）for e-mails temporarily holding or waiting for approval. ■ How to use "Temporary Suspension" on Smart devices? How to use "Temporary Suspension" on Smart devices?